Up until very recently, I have spent the entirety of my twenty-year existence with no knowledge of the wonderful brilliance that is Roald Dahl’s Matilda. Though I had been recommended it countless times by enthusiastic readers and had seen the charming advertisements for the movie adaptation, I had never managed to actually sit down and read the book itself. Last summer I made several valiant efforts to check it out of my local library, but to no avail; other patrons (presumably much younger than I) always beat me to it. Determined to beat the summer reading rushed, I hurried over to the children’s room of the library early on in my summer break this year to finally check it out once and for all. After literal decades of waiting, I read Matilda in a single sitting. Now I understand why so many people eagerly recommended this lovely little book to me, why it continues to be read by adult readers who have long since outgrown the tiny chairs in the children’s rooms of libraries. 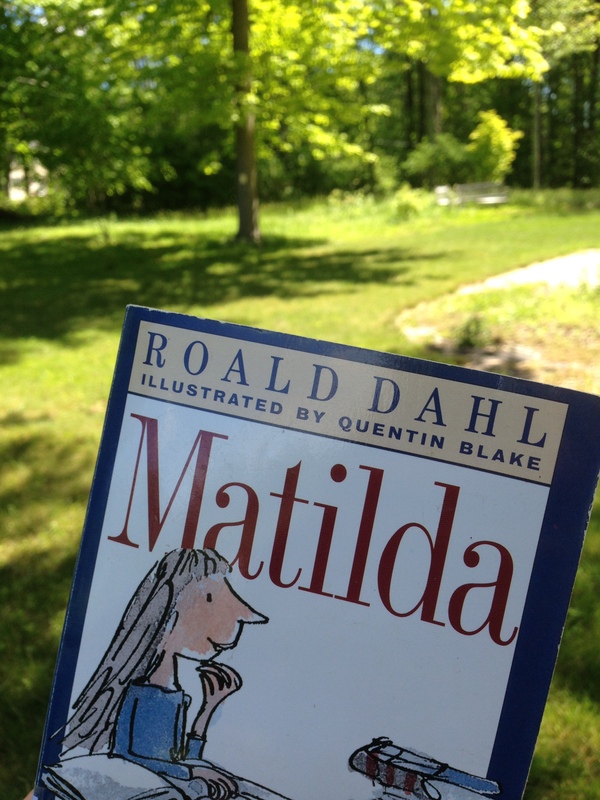 Though Matilda has an established position in the genre of children’s literature, it almost seems as if Roald Dahl wrote this book with an adult audience in mind as well. Matilda is so wise beyond her years that it sometimes feels like she is an adult—especially when faced with the temperamental, ignorant, cruel Miss Trunchbull. The four-year-old girl offers helpful advice to Miss Honey, has intellectual capabilities that surpass those of most adults, and possesses enough resilience in the face of adversity to last her a lifetime. Ultimately, this book argues for the idea of immaturity v. maturity rather than the conflict between children v. adults. In other words, Roald Dahl would likely not view the word “childish” as a synonym for being immature. Just because someone is older doesn’t mean they possess a certain degree of maturity, empathy, or common sense (as many recent events in our own world have certainly proven true). While reading this book I was taken aback by how many references there are to classic literature. I don’t think I’ve ever read a children’s book that talks so much about literature that one would normally read in high school, college, or beyond. Matilda reads Great Expectations by Charles Dickens, Jane Eyre by Charlotte Bronte, Kim by Rudyard Kipling, The Invisible Man by H.G. Wells—the list goes on and on! (New goal: read all of the novels mentioned in Matilda.) One of my favorite moments in the book is when it describes little Matilda balancing a huge tome on her lap while reading in the library. I think that image really helps illustrate how brilliant and ahead of her age Matilda is (not to mention the fact that the illustrations in this book are adorable). The numerous references to classic literature in this book also work to break down genre barriers between what is considered literature for children versus that of adults. Arguably one of the most important, interesting, and exciting aspects of Matilda is the way it emphasizes the importance of reading, learning, and education. Miss Honey is an incredible proponent of education, as shown when she provides Matilda with extra textbooks to read in class so she doesn’t have to sit through learning material she already knows. Matilda and Miss Honey stand up to Matilda’s frustratingly terrible parents who don’t understand why anyone would ever want to read a book when you could just watch the television instead. I really wish I had read this book when I was younger because I think Matilda’s character would have really resonated with me. Younger Holly would have been thrilled to read about a bookworm like myself who triumphed over obstacles against all odds. 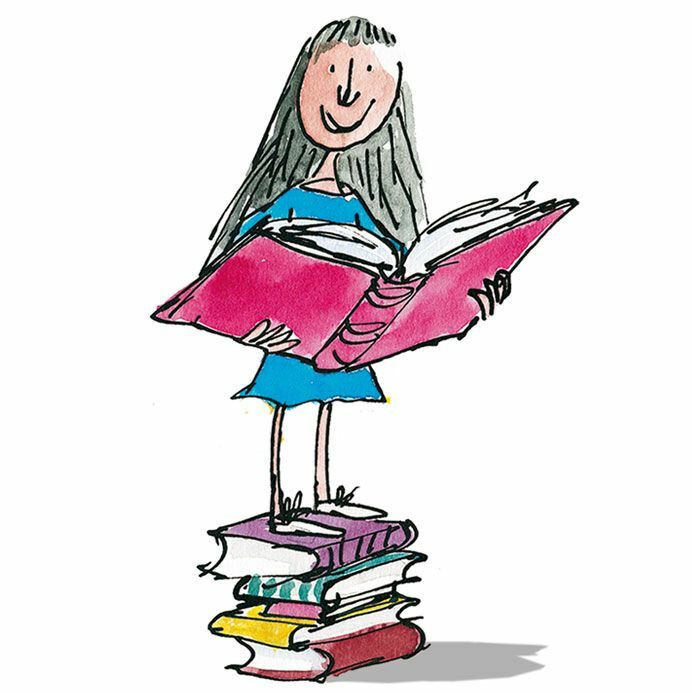 Matilda is such an important character for children to read about, both as a bookish hero as well as a strong, clever, independent female character. What can I say? Matilda is wonderful, Roald Dahl is a brilliant writer, and I’m completely in love with this book. If you haven’t read this book yet, please do yourself a favor and check it out—you definitely won’t regret it! Would I recommend it to a friend? : Absolutely!! I would recommend this book to anyone and everyone, no matter your age. What are your thoughts on Matilda? Do you have a favorite Roald Dahl book? Which Roald Dahl book should I read next? Let me know in the comments section below! I have never read that book! I honestly thought it was meant for a much younger audience, but if you say adults can also enjoy it… I think I will give this a try! Yes, YAASS! You read Matilda! I love that book and all of Roald Dahl’s children’s books (well, all that I’ve read). I could write a whole essay on the wonderous, magical children’s books of Roald Dahl. I love how he doesn’t dumb down his child characters. And Quinten Blake’s illustration is a perfect match for these stories! You should REALLY check out The BFG. That one is so full of magical good feelings. I love the Giant and Sophie in that book. I also really enjoyed The Witches (though that was definitely on the creepy side). Charlie and the Chocolate Factory is a classic of his too. I’m so excited for you to explore more of his work, enjoy!! LOVE Matilda. An all time favorite. I like your point about maturity vs. age. So true! I remember my third grade teacher reading us this book. I loved it and need to reread it as an adult. Great review! I’m so glad you finally read (and ended up loving) Matilda!! 😄 This book means so much to me. I highly recommend the movie as well. Although there are quite a few differences between the two, it is still so, so lovely, and honestly, it’s one of my favorite movies of all time. Also, I love your idea of reading through all the books mentioned in Matilda! Spent many days of my childhood reading this book. I think I used it as escapism from my unhappy childhood and I always wished one of my teachers would adopt me. Still to this day, I save a special place in my heart for this book and enjoyed sharing it with my daughter. Great review! This really makes me want to reread Matilda and then watch the movie again. She’s one of my favorite bookworm characters. I’ve also recently seen Matilda the Musical and highly recommend it!!! (check out my blog https://wordpress.com/post/geejenmotw.wordpress.com/3336) which includes the cool fact that Roald Dahl wrote Matilda in his 70’s! James and the Giant Peach and Charlie and the Chocolate Factory are my favorites. I also had Danny the Champion of the World and Charlie and the Great Glass Elevator as a child. I read BFG and Fantastic Mr. Fox as an adult, which is kind of a different experience. I still haven’t read Matilda but need to! Loved this review!!! Matilda is one of my favorite childhood movies. Yeah sadly, i haven’t read it yet but it is definitely on my to-read list! I am so glad you enjoyed this book, its one of my all time favorites and I feel that you couldn’t have explained the themes of the book more perfectly because i totally agree with what you said! My son loved the movie, but we didn’t get far into the book. Perhaps we’ll try again. I also have never read it, although it was my stepdaughter’s favourite. My son loved the movie, but we didn’t get far into the book my stepdaughter lent us. It was her favourite book as well. I think we need to try it again. I love that you discovered this book as an adult! I think it gives you a completely different perspective on it. This review really makes me want to read it again! One of my very favourites ever. Love this book so much! I watched the movie endlessly as a kid. I’m so excited for you to have discovered Dahl. You should read Boy next, its great!